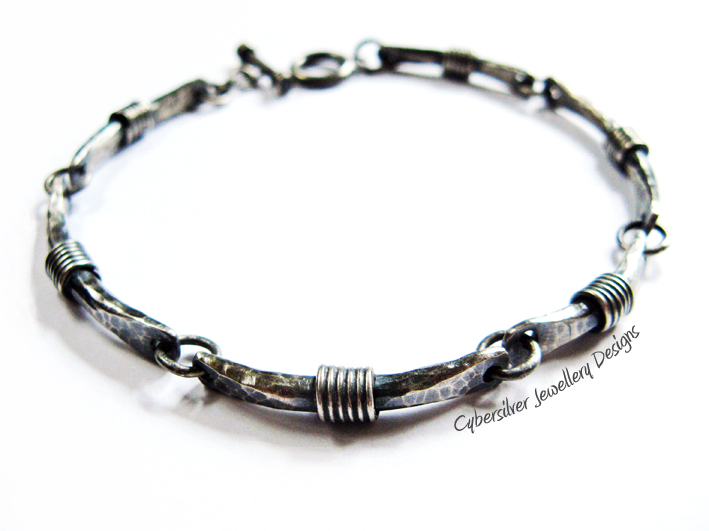 A chunky solid silver ethnic inspired bracelet. Entirely handmade and constructed from irregular sized segments. 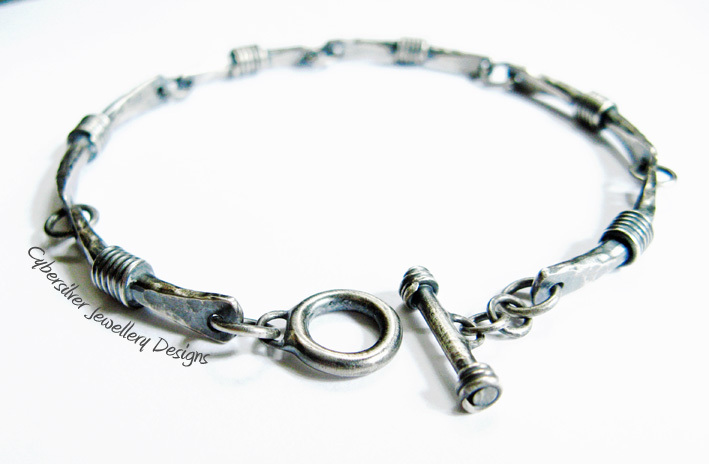 Each segment has a wire detail which is soldered in place and every link is also soldered closed. 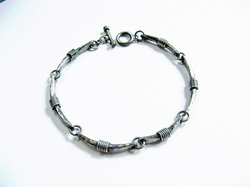 The silver has been textured, lightly oxidised and waxed.